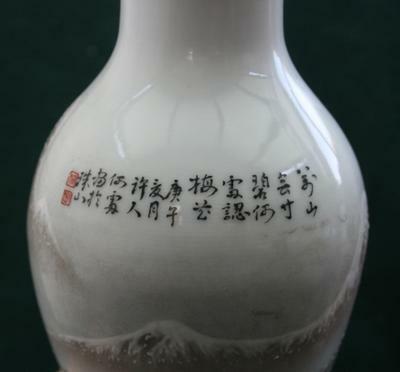 could this be a original vase of Hey xuren, or is this a copy. 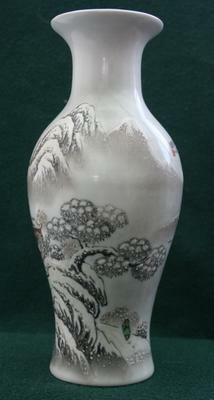 And I think the vase is dated but I'm not that good at chinese dates. Perhaps you can read the date ? 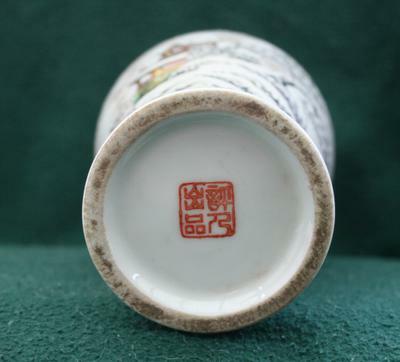 Comments for He xuren vase? I cannot help with this, I'm afraid. Although I know that He Xu-ren was specialized on snow landscapes, I don't really know enough about his work or that of the other Eight Friends of Zhushan. There are so many fakes and copies of their works around, and the price is very high for a genuine one, that it is difficult to assert if one is authentic from the writing or signature/mark alone.